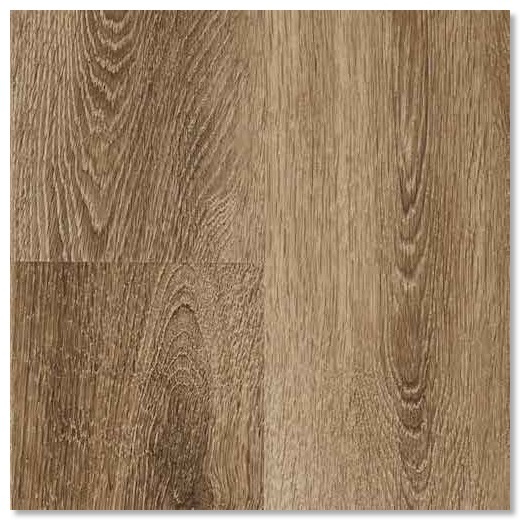 Is Luxury Vinyl Plank - good option for main floor installation? With increasing popularity of LVP or LVT floors we are asked a lot about whether it’s a good option for main level of the house. Our answer is if you’re looking for appreciated value in longer term or practicality of the floor. Or how long they plan to stay in that house; if it’s a rental property or main residence. 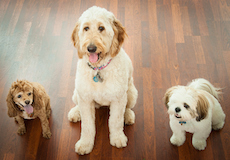 Luxury vinyl floors are durable and generally waterproof floors. They do not scratch easy and are installed floating method. Prices are fairly lower that wood floors. what is the difference or which is a better choice for your flooring project. The names are descriptive of the main difference between two. 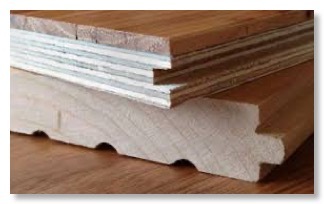 Solid wood is an all solid board milled from different species of trees, oak, cherry, maple, etc. No other processes - except for adjusting moisture content and cutting-has been performed to make this floor. As a result this type of floor is sandable. Engineered wood on the other hand is not one piece of wood made from certain wood. It’s mostly several plies of wood, 3, 5, 7 or more of backing-mostly made from poplar wood- and then the actual wood as a film on top. This top veneer is what makes the distinction between various engineered wood, like oak, maple, walnut, cherry, etc. Also this top veneer can come in difference thicknesses. Most of the times you can not sand an engineered floor since you only have a thin film or veneer to sand. But there are also some small fraction of this type of flooring with thicker veneer that will give the possibility of one time or maybe 2 time sanding. Main application of solid wood flooring is stapling or nailing over a plywood subfloor. It’s not always possibly to use this type of floor over concrete. To do that there may be need for installation of plywood over concrete on use of specialized glue which prevents concrete moisture affecting solid wood floor. Engineered wood flooring can be installed over most any subfloor, however, it is ideal for over concrete installation as the normal moisture emission won’t affect it.